A ride from Ury After a leisurely breakfast we walked into the village to buy provisions for tea. We set of on our ride around midday. 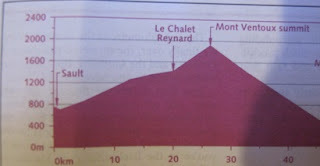 We took the minor roads to Recloses and then on the Route de la Round to Thornery. There we descended to the village. The boulangerie was shut so we continued to the “port”. The once thriving slipway onto the Seine had succumbed to the coming of the railway in the 19th century. We continued alongside the river for a short way before climbing back up the hill and continued to Fontainebleau. We past the back of the chateau and continued into the town. We had a good choice of boulangeries and that were open to serve the many tourists. We selected one away from the centre bought provisions and returned to the chateau to eat our lunch. It was then on towards the artist village of Barbizon. We should have taken the guide book with us that had detailed directions on how to get onto the minor track than ran thought the wood. We eventually found it but only after we had negotiated the busy “ring “ road. The tourist information office provided us with a “map” of the tracks though the woods. The” map” was an A4 photocopy paper with writing that was too small to read. We were able to identify a route that would take us back to Recloses. The track was marked with the occasional green vertical rectangle. The good stone surface soon disappeared and we were left on a sandy track that was difficult to cycle on in places. We successfully followed the route to the view point and on down the hill. It was poorly signed. For the last 2 miles the markings disappeared and the track got even sander and Lyn started to attract the attention anything that nips. We eventually came out on the D301 and we not sure if we needed to turn right or left. We selected the right direction and after a couple of mile Recloses was signed posted. We made if back to Ury at around 7:30 a round trip of 40 miles.